“Brown cow” was originally the name of a non-alcoholic drink – a root beer float made with chocolate ice cream instead of the usual vanilla. 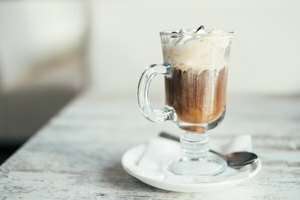 As a cocktail, a brown cow takes inspiration from the nostalgic soda fountain treat, but recipes vary considerably in their components, ranging from a simple duo of coffee liqueur and milk to elaborate combinations of flavored liqueurs and spirits blended with ice and, sometimes, ice cream. 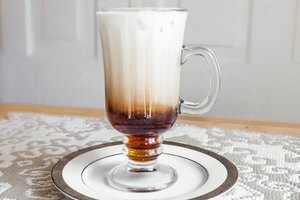 To honor the defining flavors of the original beverage, the following brown cow cocktail recipe calls for root beer, Baileys Irish cream and a chocolate liqueur, such as creme de cacao. The simplest – and lowest-calorie – preparation is a blend of those three key ingredients served in a tall glass over ice. 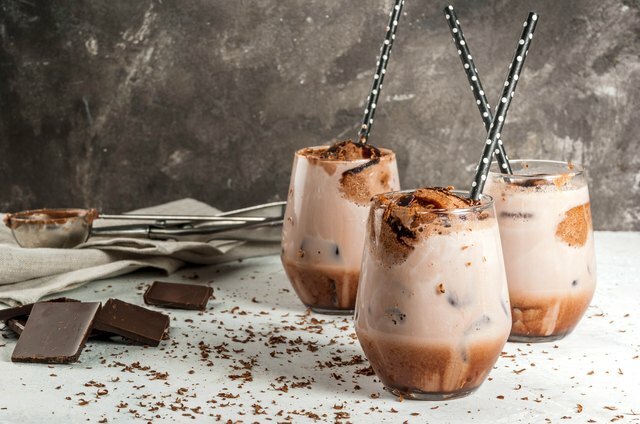 However, you can easily transform the basic brown cow into a frozen drink by blending it with ice, and by adding a scoop of chocolate ice cream, you might make it into a boozy milkshake or an adult version of the original brown cow float. Add the Baileys and chocolate liqueur to the glass, and top it up with root beer. Stir the drink with a swizzle stick, spoon or straw. For a blended version: Add to a blender all the ingredients, including the ice, and blitz until smooth. Pour into the glass. For a float version: Omit the ice from the glass, stir together the other ingredients, leaving a little space at the top of the glass. Drop a scoop of chocolate ice cream into the glass. For a milkshake version: Add to a blender all the cocktail ingredients, including the ice cream but omitting the ice, and blitz until smooth. Pour into the glass. Optionally, top any version of the brown cow cocktail with a swirl of whipped cream, grated nutmeg, chocolate shavings and/or a squeeze of chocolate syrup. 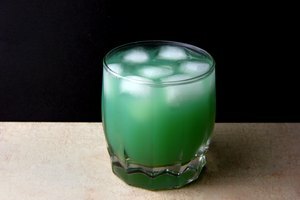 You might also like to swirl chocolate syrup around the inside of the glass before pouring in the cocktail ingredients. 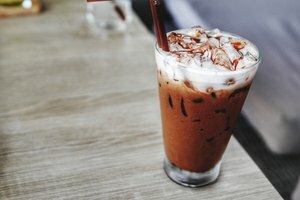 You can make a dairy-free version of a brown cow by using Baileys Almande, a dairy-free version of the drink made with almond milk. You can even extend this to the float and milkshake versions by using a dairy-free ice cream made from soy or coconut milk. If you don’t have or don’t want to use Baileys, good substitutions are vanilla vodka, bourbon and most types of rum. 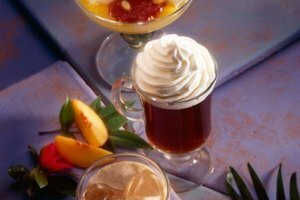 You can also replicate the flavors of Baileys with a shot of Irish whiskey and a splash of cream or milk. Brown cow cocktails welcome a variety of other sweet liqueurs in addition to chocolate liqueurs and Baileys. Try adding some coffee liqueur, such as Kahlua or Tia Maria, a mint liqueur like creme de menthe, or an almond liqueur such as amaretto. Flavored vodkas and rums that might be nice added to a brown cow include cinnamon, coconut and strawberry. Another option for making a brown cow stronger is to use an alcoholic brand of root beer.